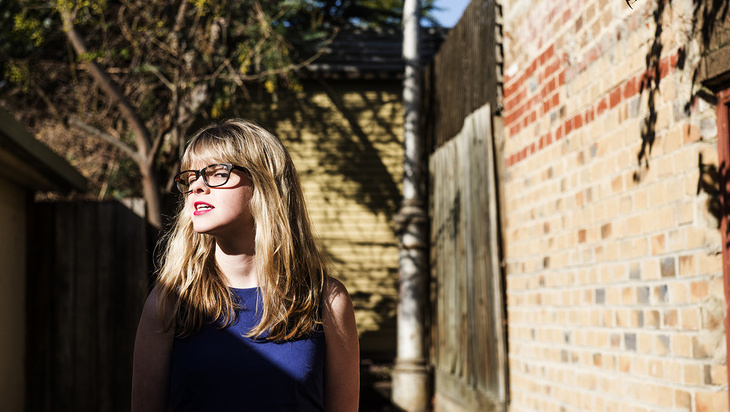 Tegan Higginbotham is a fresh-faced force for good with a firm foot in the Melbourne Comedy Scene. 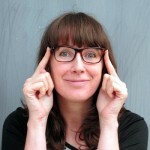 Humblingly younger than most of her contemporaries; Tegan has for the past few years been prolifically producing fast paced sketch in outfit Watson, The Anarchist Guild Social Committee, regularly appearing on The Shelf, as well producing regular commentary in her column in the Age on sport. Tegan is back and better than ever this Comedy Festival with the release of her new solo show ‘Game Changer’. Game Changer forms a trilogy of Sports themed shows for Tegan, following her very successful ‘Touched by Fev’ (dedicated to AFL star Brendan Fevola) and previously with the acclaimed ‘Million Dollar Tegan’; which explored Tegan’s personal foray into the bizarre world of boxing. ‘Game Changer’ explores social attitudes towards pole dancing and lingerie football, and asks the question: just who sets the standards when it comes to what defines a ‘real sport’ anyway? Tegan took a quick few minutes out of her Comedy Festival prep to talk to me! Your love of sport has been a central theme of your last two comedy shows, with Touched by Fev and Million Dollar Tegan. Can you tell me about how your love of sport and comedy came together? I didn’t mean for it to happen. It wasn’t a conscious thought – when I took up boxing the experience was so ridiculous comedy was a way of sharing what happened. But as a massive film buff I love a good trilogy. Star Wars is the main reason this ended up being a trilogy! Pole Dancing is a bit of a break from boxing and footy. What attracted you to Pole Dancing as a theme? I came across a really heated and negative response to the idea of pole dancing becoming an Olympic sport. As I engaged in the argument I realised I didn’t know anything about pole dancing, so I wanted to find out more about it. I started doing a lot of research about pole dancing online. You have to be really careful what search terms you use when you’re researching pole dancing! But it was fascinating. I found out that there was a massive movement of people who accept pole dancing as a sport. I ended up trying it out. I found it incredibly hard. Women who do it are so strong. There’s a lot of muscles and skills that they need to develop that are different from any other sport. It was similar to the lingerie league – when it came to town all that anyone noticed was what they were wearing. It took a while for people to realise that they were extremely strong and fit athletes. What sort of response do you get from people as a woman in comedy, talking about sport? It took a lot of convincing people that I was telling the truth about my love of sport. They thought of it as a gimmick or didn’t believe I knew much about it. Having a regular column in the Age has helped a lot to help people take it seriously. The more I perform the more people are getting on board with it. I want to be seen first and foremost as a comic. Who should come and see this show? This show should be perfect for everybody. It’s great for people who love sport, but I’m also a massive nerd so there’s no way I’ll be able to keep that hidden. I’ve also challenged myself to talk more about myself in this show; so there’s a bit more story telling about my life in it than there’s been before. What do you hope your audience takes away from your show? Hmmmm. I’d hope they’d take away the willingness to think about sports like pole dancing a little more before reacting so strongly to them. And I hope they have a really good laugh. Many of us are super sad not to see Watson this comedy festival. Will Watson rise again? Absolutely. Adam and I love working together. It was really hard but we made the decision that doing a show at Comedy Festival show this year wasn’t going to work with our schedules. But our ideas keep getting bigger and bigger. You’ll see Watson put on something pretty special at Melbourne Fringe this year. You recently reappeared with the Anarchist Guild Collective Social Committee, which performed to a sold out room. What for you is the biggest difference between performing sketch and stand up? Sketch for me is more like play and stand up, while rewarding, is a lot more work. I love stand up and how challenging it is. Though stand up is a little bit lonelier after the show. I really like having the chance to do both. I hear that you’ve got upcoming television role, This is Littleton can you tell me a bit about that? This is Littleton goes to air this February! It’s a really fun sketch show. The story is set around a Town Hall Community Centre. I perform various roles throughout the show. The comics performing all write their own material; many of the characters are based on characters they’ve taken from their own work, so it’s a really interesting collaboration. The show is lots of fun. 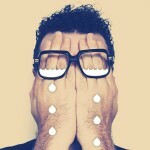 What are you looking forward to the most this Melbourne comedy festival? The first show. There’s nothing like the feeling after your first show for the run. You have so much doubt and you put in so much preparation and you don’t know how its going to turn out. The feeling of relief after the first performance is over is just amazing. What other acts are you looking forward to seeing? I always love seeing Celia Pacquola. And because I love sketch I love seeing Girls Uninterrupted, and Lords of Luxury and Aunty Donna. There’s a lot of great sketch this festival. 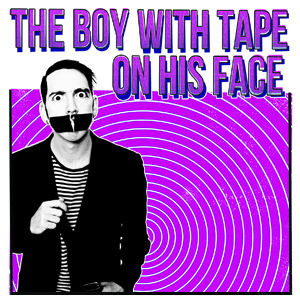 The Boy With Tape on His Face projects traditional physical theatre into a new dimension making it bigger, faster and louder than ever before. The Boy frantically constructs whole universes and situations with a flurry of props and actions, then destroys them once more with equal gusto. One second we are ensconced in a bull fight, another in precarious acro-balance, another minute a golf tournament, and the next a Star Wars re-enactment. Every scene is fun, cheeky, furiously fast paced, and pushes the limits of physical ability and safety. The whole room was entranced from the first second to the last. 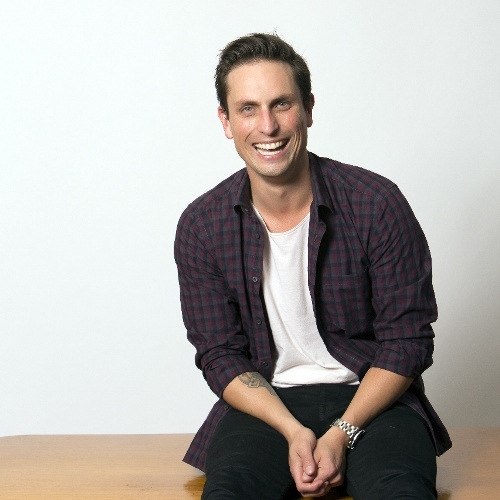 The Boy (New Zealander Sam Wills) utilizes many performance styles from his bag of tricks; puppetry, mime, tremendous amounts of audience interaction, and more. He has the reflexes of a cat, and the started look of a possum. He plays the audience like a well-tuned fiddle. His mouth, as the name suggests, remains hidden behind a firmly attached piece of gaffa tape for the entire performance. But he clearly proves he doesn’t need words to effectively communicate with the audience. We were all completely within his control for the entire performance; each and every audience member selected for participation instantly obeying his every command, even as what the Boy asks of them grows increasingly more ludicrous and challenging. The Boy’s employment of audience participation pushes boundaries, which is both terrifying and exhilarating. Even at the most daring of moments the Boy expertly walks the fine line between hilarious and cruel; gaining maximum laughs and managing not to get the audience offside. We are more than conscious that we are watching a master at work. This man sets the standard for physical theatre. This show is nothing short of spectacular. Every nuanced motion of the Boy’s act is met with perfectly executed lighting and music cues; enhancing the performance and forming its own set of punch-lines. The spectacular and climactic ending feels like a giant hug involving the entire audience. This show has been a sell out around the world and The Boy is back in town. Get in to see him while you can! More Tape is on til March 16 in The Vagabond tent at The Garden of Unearthly Delights. 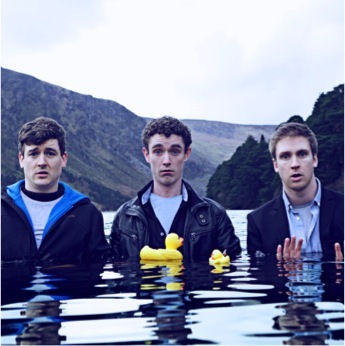 Foil Arms and Hog bring their particular brand of mirth and mayhem all the way from Ireland to this year’s Adelaide Fringe. The trio take you on an adventure into the competitive domain of sandcastle making. We learn of the murky underworld of the ‘net people’, local parish talent quests, the terrifying prospect of spontaneously having to learn sign language, 14 year old love and syncopated IT usage. Each sketch holds a kernel of a deliciously original idea and richly developed characters. Along the way we are witness to an excellently executed sword fight. A true highlight of the show. Unfortunately, each sketch dragged out for a good five minutes after the punch line had been delivered, which weakened the impact of the piece. After each sketch the performers had a habit of breaking character and providing commentary on it, which had the effect of letting the energy of the performance drop. It felt as if there was a solid 40 minutes of material here, which had been stretched unwillingly to an hour. While all three performers displayed polished and interesting characters, with deliciously convincing accents, wonderful facial expressions, and excellent stage craft, they habitually pulled focus from each other, which muddied the plot and confused the audience. That said, the few times the trio had an opportunity for improvisation we saw them at their best. They expanded like a gas to use all available space in various combinations; the audience sometimes becoming sandwiched betwixt the performers. They gave the fourth wall a solid massage and played with multiple methods of engaging the audience throughout the show. With a bit of tightening this show is going to be amazing. If you’re in the mood for some original, energetic, and fast on their feet impro-infused sketch, Foil Arms and Hog will stand and deliver. Foil, Arms and Hog: Irish sketch comedy is on at Sugar til March 5. CJ Delling is a conglomeration of contradictions. Nominally an Australian moved here from Germany; she presents herself as the rarest of species, a German comedian, and a female one at that. She informs us that there are no such things as German comedians and flirts with the entrenched stereotypes we hold of Germans, delicately uncoupling our assumptions along the way. This opens the doorway to an analysis of language, accents, impressions, and misunderstandings. All rich comedy fodder. We are immediately endeared to this complex, self-aware, and quirky human. Delling’s mind seems a place of unpredictable adventure – we are never quite sure what is coming next. A practitioner of subtle satire, Delling presents us with material to make us question alternative medicine and other key themes without demanding from us a specific set of conclusions. This is intelligent and elegant comedy. Delling’s delivery is gentle; if you’re not paying attention she’s not going to spell out the jokes for you. It’s refreshing to see a comedian who feels no need to wait for us to catch up. It feels like we’ve established a relationship of mutual respect during the show. With considerable skill she builds an analogy, never settling for a single gag from each anecdote. It was quite a rewarding experience journeying with her to see just where she could take each new and ever more farcical scenario. While the familiar themes of love and loss, of not fitting in, and pithy reflections on religion are all present, Delling manages a new take on many of these and the show is not without a surprise twist here and there. The show could do with a dash more structure; while all of Delling’s material is original and worthwhile, you are sometimes left wondering what the last story had to do with the next. Such confusion puts a lot of pressure on the end of the show to tie up the loose ends of a lot of anecdotes, and in this instance, it wasn’t a completely satisfying pay off. With that in mind, Delling is a delightful edition to the circuit; well worth an hour of your Fringe Festival. See her while you can. Cam Knight explores his complex relationship with ‘giving it all you got’, or ‘giving it 100%’. Why do anything at all if you’re not going to give it everything? But then again, there’s so much fun to be had. Flashing his pearly whites at the audience this happy go lucky chap recounts moments of gaining enlightenment while drunk in the swimming pool of a Thai Resort. The contrast between his highbrow ideals and his lowbrow behaviour becomes indicative of the rest of the show. We are beholden to an hour of comedy twixt suspect gags and flashes of hilarious insight. Cam’s performance is energetic and up-beat. Even when recounting the phobias he carried with him throughout his life and the financially precarious nature of being a comedian, the overall positivity of the show never ceases. The show has many a delicious anecdote of silliness; albeit rather laddish accounts of hilariously stupid stunts ending with trips to the emergency ward. Knight ‘s critical glare on the world of meditation and general hippy carryings on was a highlight of the show. Some of Knight’s investigations into fate and identity produced some excellent reality checks on how we perceive what we were ‘born to do’. Yet the sporadic dives into ruddy sexual allegory had the feel that Knight was focused on appealing to the lowest common denominator in the room. This show felt like being on a see saw. Themes vacillated wildly between witty anecdotes and rather lazy bawdy humour. Despite some truly hilarious moments Knight relies a little too much on his boyish charm to carry through some of his more dubious material involving elderly citizens on public transport and blow jobs. And theatre and blow jobs. And his parents and blow jobs. This show was a mixed bag. If you like your comedy full of pep and cheek, Cam Knight is the comic for you. Keck takes us on a tumultuous journey through the lows and the lower lows of his time on this planet; from his troubled entry into the world and the demise from there. We hear about the troubled relationship with his parents, the humiliation of his primary school days; the precarious world of being a comedian and the silent despair he endured during his days of working in an office. The show has a confessional and vulnerable quality to it; as Keck shares with us some of the most difficult times of his life, as well as some of his most hilariously awful mistakes and the terrible things he’s said to people. Like all confessional acts there is a cathartic element to these revelations, as we groan and moan and laugh with Keck it feels like we are all part of a process of recognition and forgiveness. Keck is a soulful story teller adept in the art of pathos. The humbling intimacy of the story Keck shares with us is echoed in his stage presentation; barefoot and in his pyjamas. The stage has only a fridge for decoration, conveying a fragile domesticity fitting for the narrative. Dealing with the challenging themes of depression and suicide, this show could easily be misinterpreted as an attempt to sensationalize Keck’s personal struggles for the purposes of entertainment. But his presentation is unvarnished, undramatized and non-judgemental. This show is a pleasing distinction from many of the gag-a-minute stand up routines you’ll find at the festival; a wholesome example of storytelling done very well. The show is centred soundly around Keck’s relationship with the notion of asking people for help, which proves to be a universal and personal theme. Keck isn’t the first to locate laughter in near-tragedy, nor joy from sorrow, but he does it well. Aside from a few slightly suspect jokes around women, this show was an utter delight, a perfect addition to a healthy Fringe comedy diet.